Officials have yet to finish counting late-arriving mail-in ballots or provisional ballots provided to voters when their eligibility wasn't clear. 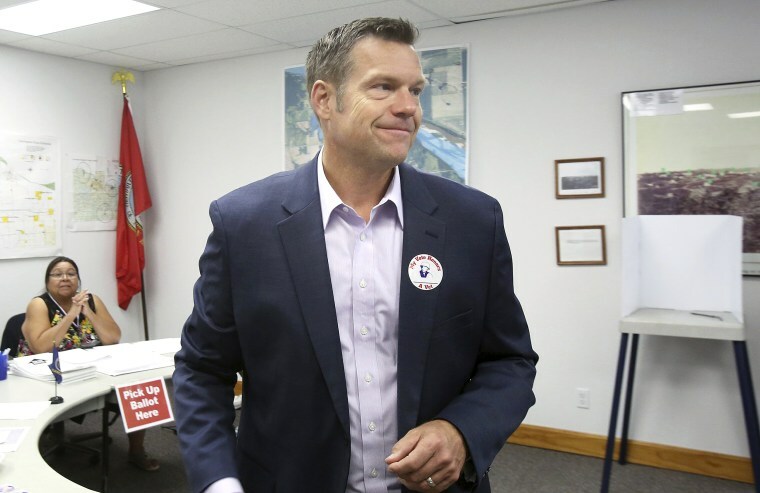 TOPEKA, Kan. — Kansas Secretary of State Kris Kobach's lead over Gov. Jeff Colyer in the Republican primary has shrunk to only 91 votes after election officials discovered a mistake in the listing for one county's results in the state's tally of votes. And Bryan Caskey, state elections director, said county officials pointed out the discrepancy Thursday following a routine request for a post-election check of the numbers to counties by the secretary of state's office.